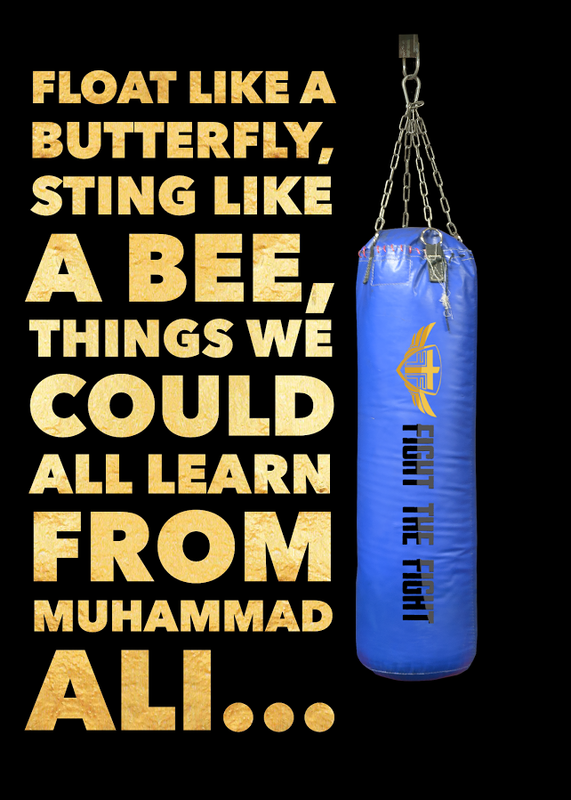 Home › FTF Blog › Float Like a Butterfly, Sting Like a Bee, Things We Could All Learn from Muhammad Ali! Float Like a Butterfly, Sting Like a Bee, Things We Could All Learn from Muhammad Ali! Muhammad Ali didn't care what other people wanted him to be. He lived life on his terms. He used his talents and abilities to inspire the world. He raised the bar of the greatness that a human being can achieve in the short burst of time we get here. Ali transcended his sport and permeated our culture. His name and face are known by people far and wide who know absolutely nothing else about boxing. When we see true greatness in people like this it's almost impossible to explain. He was a magnetic human being that captivated everyone with his actions, his words, and his undeniable charisma. He just had the intangible "it" factor. He was a leader. He was a trailblazer. He was an original through and through. The world is now a much lesser place without him. He exits this side of life having impacted millions. He did it his way, and we should be thankful for the way he lived. One day, hopefully many years from now, many of us will look back on the life we've lived with regrets. We'll wish we had done this or that instead of playing it safe and accepting the hand we were dealt. It's people like Ali that show us we don't have to accept the world around us the way it is. If we don't like the way our life is going we can change the course by staying true to ourselves and outworking everyone else! "Don't quit. Suffer now, and live the rest of your life as a champion!" "It isn't the mountains ahead to climb that wear you down. It's the pebble in your shoe." "It's the repetition of affirmations that leads to belief." "It's the lack of faith that makes people afraid of meeting challenges, and I believe in myself." "I know where I'm going. I know the truth, and I don't have to be what you want me to be. I'm free to be what I want."